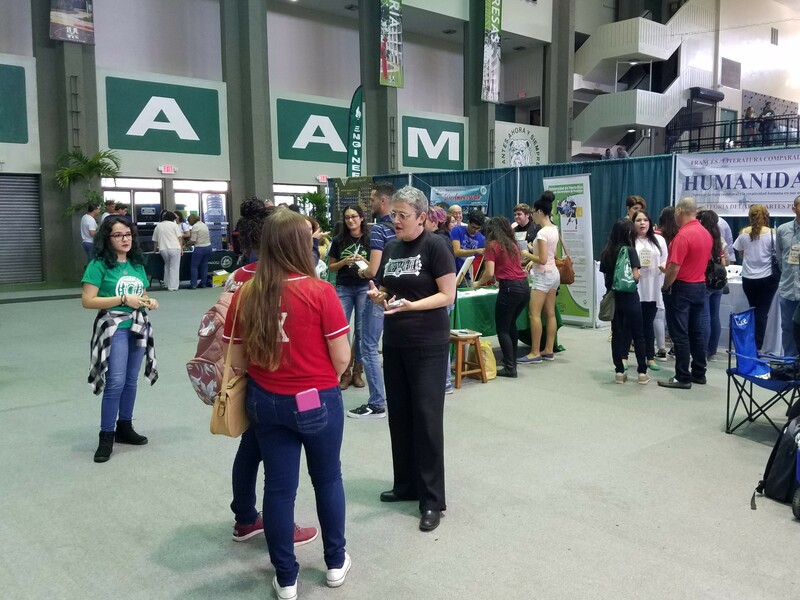 On Friday, October 19, the UPRM held an Open House event with the purpose of showcasing its diverse programs for undergraduate studies to different high school students from all over Puerto Rico. In the coliseum Rafael A. Mangual our team had two tables to set up a large information booth for the day, and was filled with visitors all morning. 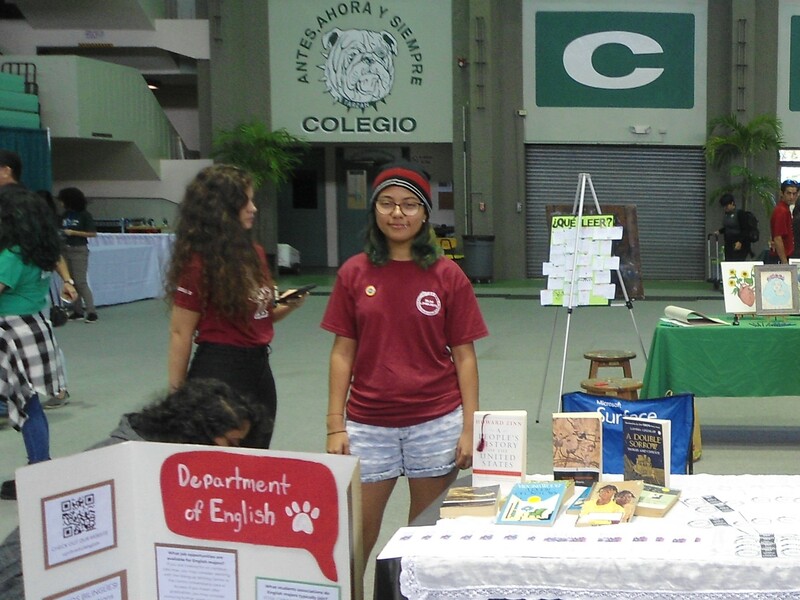 Our English Department, along with its student associations. 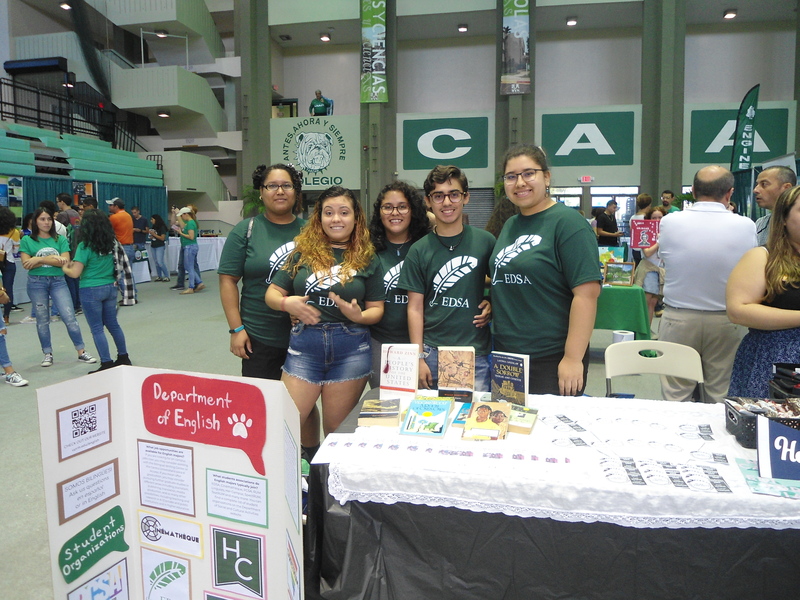 Her Campus, RUM Linguists, and EDSA were present representing our community, greeting approaching students eager to learn more. While on the main table and in the surrounding areas Drs. 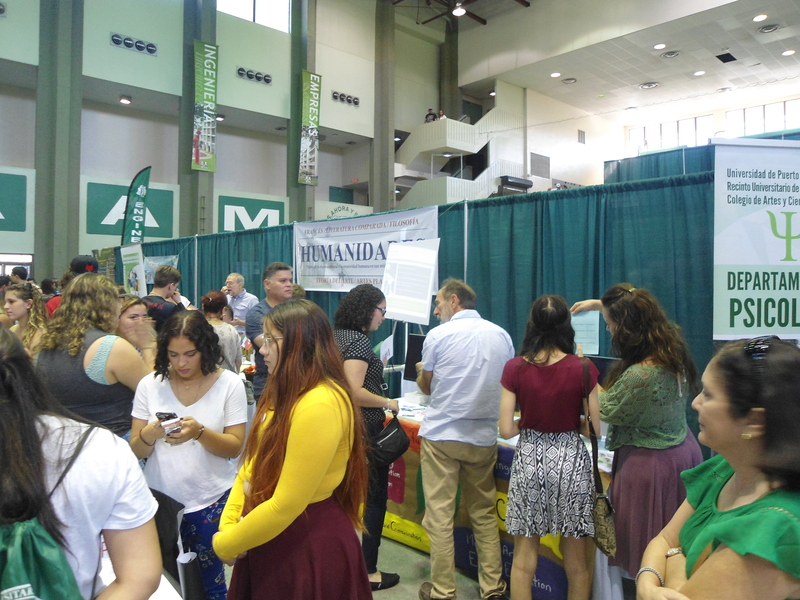 Mary Sefranek, Billy Woodall, Mary Leonard, and Catherine Fleck informed many visitors of the opportunities the Department had to offer, provided detailed information regarding the curriculum, and answered many questions posed by our guests. At the end of the event students, parents, and teachers seemed satisfied with the counseling received. 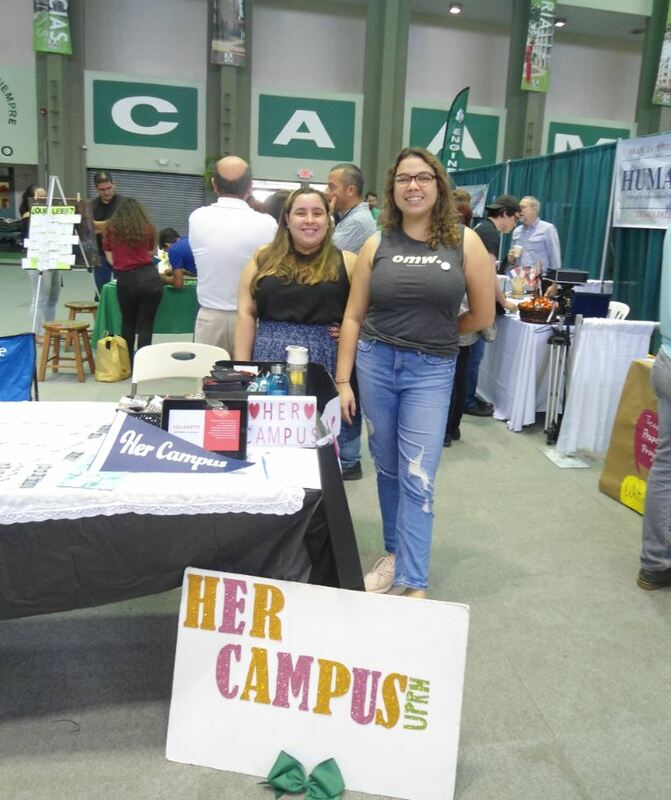 Our team was thrilled to participate in this great Open House. 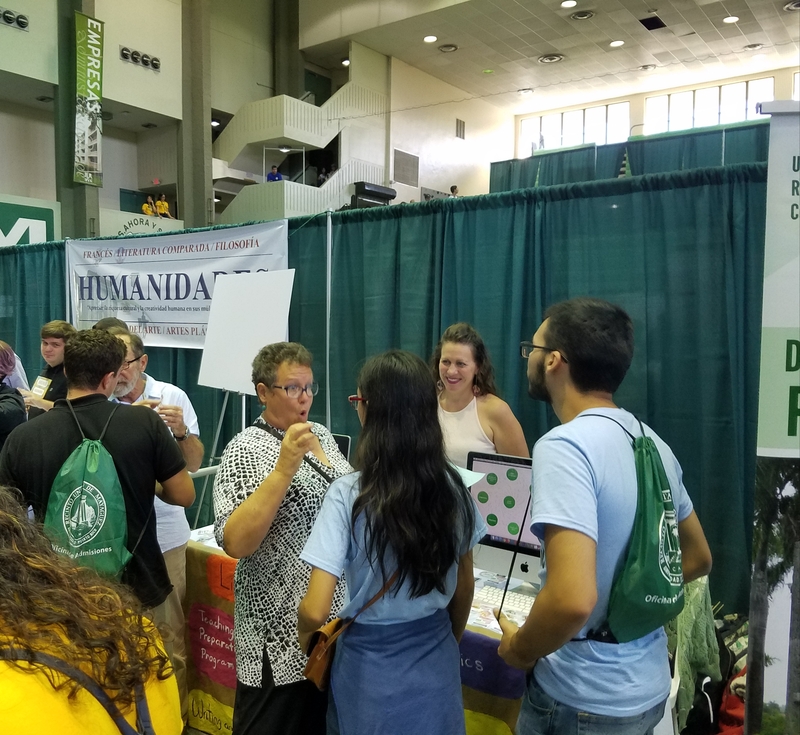 For those students that approached our tables: we hope to see you here soon! in the antes, ahora y siempre… ¡Colegio! For more information regarding about our programs, click here. Interested in joining one of these amazing associations? 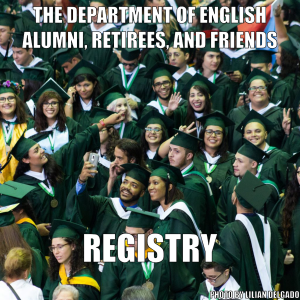 Learn more about them: HER CAMPUS/ RUMLINGUISTS/ EDSA.